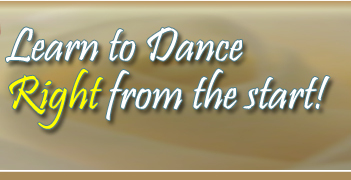 Fontaine Dance - Sun City Festival, Buckeye, Arizona 85396 - About Us! 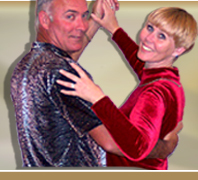 - Arizona's Most Popular Ballroom Dance Studio! 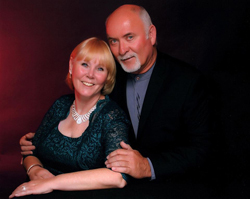 Nancy and Steven Fontaine began dancing in Sonoma County with John Ross Academy of Dance in 1996. Our first class was Beginning Country. We had been married for 23 years and had never danced together (We have now been married 44 years). Our coach John Ross not only taught us how to dance, he also taught us to love dance. We started with no knowledge of dancing and caught on very quickly. We began assisting in John's classes after about 6 months of lessons. Around the end of our first year, our coach approached us to become teachers for him. We trained for 8 months on how to teach and continued to assist in classes. We taught our 1st class (Beginning Country) in September 1997. We have been teaching ever since, starting with just one class a week at first. As time went on we were offering up to 15 classes per week, before relocating to Roseville, CA in November of 2003 and opened our new studios in Roseville, Ca. In 2018 we haved moved to SUN CITY FESTIVAL - Buckeye Arizona 85396. Nancy and Steven Fontaine of Fontaine Dance offer Private and Group Ballroom, Latin, Swing, Nightclub and Country Dancing Lessons and monthly dances in the area of Roseville, Rocklin, Citrus Heights, Carmichael, Lincoln, Granite Bay, Folsom, Sacramento, Antelope, North Highlands, Fair Oaks, Auburn, Grass Valley, Loomis, Penryn, Yuba City, Marysville, Woodland, Gold Country, Lake of the Pines, Natomas, West Sacramento, Rio Linda, Carmichael, Arden, Rancho Cordova, Placerville, Thunder Valley, Newcastle, Plymouth, Cool, Sheridan, Fair Oaks, Orangevale, and Wheatland California and all of the Sacramento area including Placer,Sacramento, Amador and El Dorado Counties. dThe design of this web page, all artwork, logos and wording are the physical and intellectual property of Fontaine Dance. None of the material within this web page may be used or copied without express written permission from Fontaine Dance.